N833JSU ScaniaP93M-220/Emergency One WrL, Strathclyde Fire and Rescue Service, Fire station Oban. 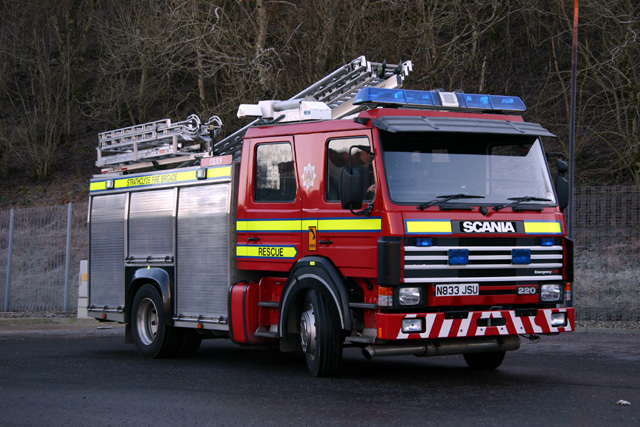 One of the best looking Scania appliances SFR have. Plain fire engine with out all the clutter. P93's are no nonsense, ruggid machines!! Added by Steve Bonner on 14 November 2007. Where is the appliance now? Added by Buzz on 15 November 2010. Added by Steve Bonner on 15 November 2010.